If you have been following along over the past nine months, you may have noticed that we rarely have a detailed plan of what is next. We have followed a general outline of where we wanted to travel, but have the flexibility to add or delete things since we buy point-to-point tickets for our next destination. As we started to build our plans around Central and Eastern Europe, we asked our Facebook friends for ideas on where to go, given we knew little about the region. Hungary was a quick reply from a friend - a place we hadn't considered at all. (Note: if you want us to go somewhere crazy, just say so. It may happen). Fast forward three months and we landed in Budapest, Hungary at 5 a.m. after a quick overnight flight from Lisbon, Portugal. We navigated our way through the empty airport to a bus that was going to take us to the closest Metro. After an interesting exchange in gestures with the bus driver, we paid our fare, unsuccessfully attempted to validate our ticket (machine error) and watched as the bus crowded in with passengers. The sky was still dark as the bus drove through the city streets, and passengers of all ages continued to board the bus at every stop. It was a Saturday before sunrise and there were more people out than we had seen in any small town in Portugal at 9 p.m. After an even more confusing ticket validation process for the Metro, we boarded a very old subway train that had to be leftover from Communist days and headed for central Budapest. Remarkably (and one of the reasons why Airbnb is so great), the owner of the apartment we were staying at agreed to meet us at her place at 6 a.m. to hand us the keys. A four-hour nap later, we awoke to a sunny skies and a city that exceeded our expectations in every way. What started as a three-night stopover became five nights and we could have stayed longer to explore more hidden parts of the city. 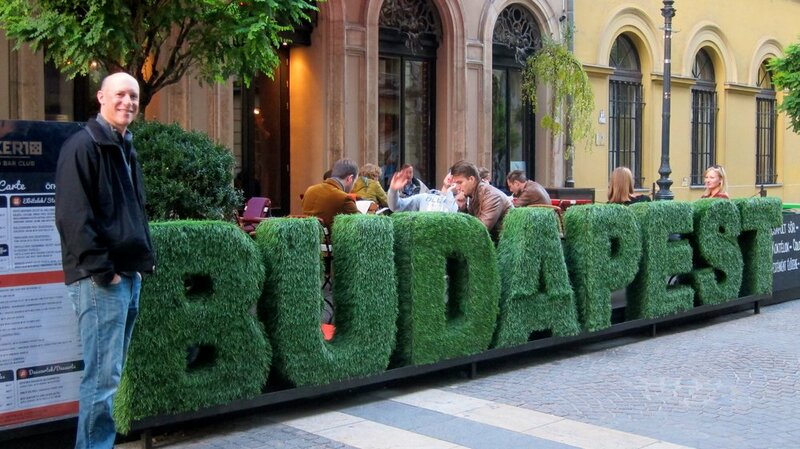 Budapest surprised us at every turn and we found a city where we could easily see ourselves settling down. It has all the excitement you would want in a big city, coupled with a laid-back vibe that we appreciated as we recovered from a whirlwind trip through almost all of Portugal. Budapest! One of our new favorite cities. We settled into a routine over six days that included sleeping in, focusing on planning the next legs of our journey and trying to check off one major Budapest experience a day. It was less ambitious than our regular travel routine, but worked perfectly in a city where just walking the streets provided enough to see in a few hours. Day One: Danube River Walk The Danube River is a massive river that passes through borders of 10 countries. In Budapest, it separates the Buda from the Pest sides of town and is the perfect foundation for the backdrop of impressive buildings, neighboring hills and beautiful bridges. We walked along the Danube almost every day and continued to find interesting ways to view the city. The impressive Parliament building across the Danube. The buildings along the Danube lit up at night. Day Two: The Old Jewish Quarter Budapest and Hungary has a fascinating Jewish history pre and post the World Wars. They suffered tremendously during World War II, with some estimates saying that 90 percent of Jews in the Hungarian provinces were killed. Jews in the capital fared a little better, but faced their own challenges during that time and after. In the middle of Budapest sits the Dohány Street Synagogue, the largest Jewish synagogue in Europe and one of the largest in the world. The synagogue serves as the anchor to the old Jewish quarter and is now an area filled with restaurants, bars and young hipster life. One of the more popular things to do in this area is hang out at a "ruinpub" - a bar that has been settled in the middle of formerly abandoned buildings. We enjoyed the Sunday morning farmer's market and a beer at Szimpla Kert, one of the flagship pubs of its type. Sitting in the hood of a car at one of Budapest's ruinpubs. Day Three: The Buda Castle Complex Towering over the town is the hills that are home to the Buda castle and its many different buildings. It was a quick walk uphill from our first rental apartment and we had fun running around its towers and view points to take in all of the city. An amazing place to be on a sunny day. Day Four: The Hungarian State Opera Dave mentioned the opera in his latest ramblings so I won't say much more, but for two people relatively uncultured in the arts, I'm so glad we have taken advantage of these experiences around the world. The opera house is a site to behold and an incredible night out. 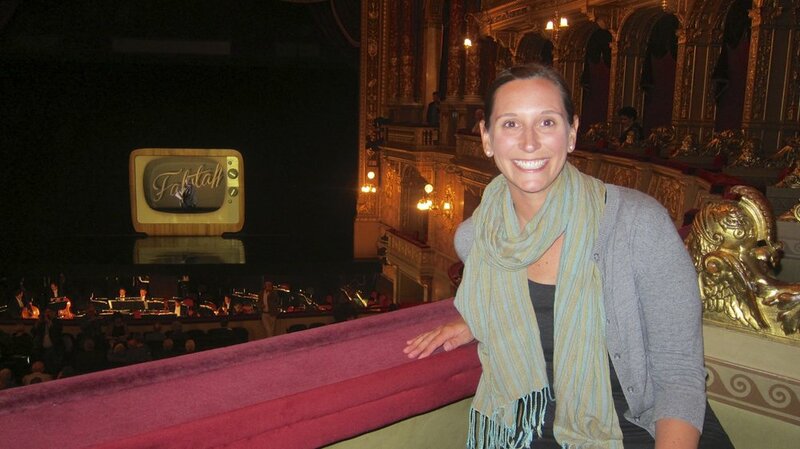 Falstaff at the Hungarian State Opera. Day Five: The Széchenyi Baths Budapest is famous for its thermal baths, which are sourced from wells deep beneath the city. I was intimidated to try them since everything I read online seemed like it was a confusing experience as far as whether males or females could go together and negotiating for a changing cabin or locker in a foreign language. 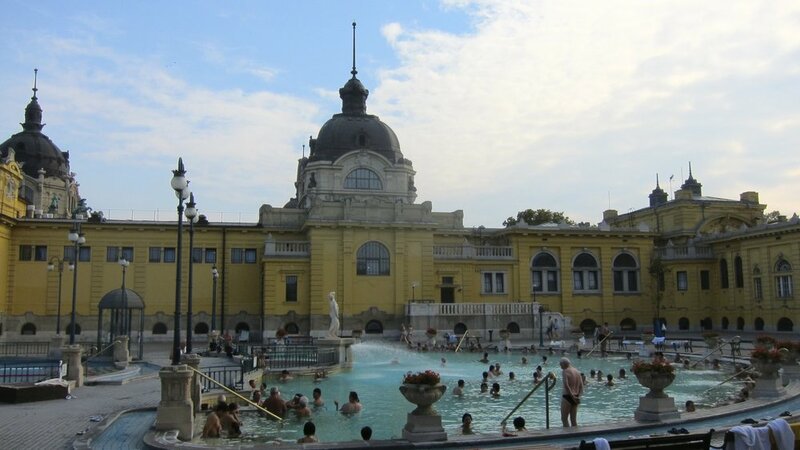 We chose the Széchenyi Baths in Budapest's City Park and it was easier to navigate than I thought it would be. With towels, flip flops and a bathing suit, you are set for a day of soaking in the hot thermal waters, both inside and outside. Our favorite spot was the man-made wave pool that is created in one of the baths by a group of people running around in a circle. So much fun. Beautiful buildings and warm pools! Day Six: Spending time in a Van Gogh Painting We kept seeing signs for "Van Gogh Alive" around the city so decided to check out the exhibit on our last morning. It is Van Gogh in your face. 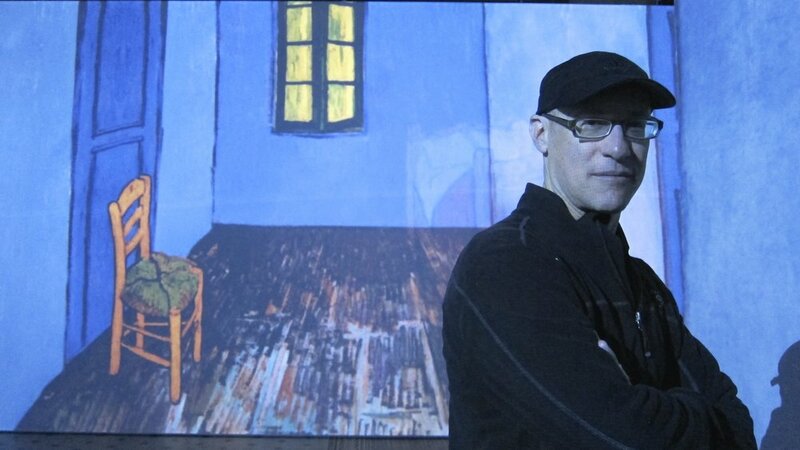 Paintings projected on large screens, timed to music and complemented by Van Gogh quotes. We enjoyed the exhibit, but mainly because we ran around trying to capture ourselves in Van Gogh paintings. A very cool way to see almost every Van Gogh painting in a 30-minute segment. Dave in Bedroom in Arles. While in town, we had drinks with a friend of Dave's brother who has lived in Budapest now for 19 years. He's a history buff who was drawn to the region for it, but who has loved the city enough to stay for almost two decades. After just six days, I can see how it is possible. 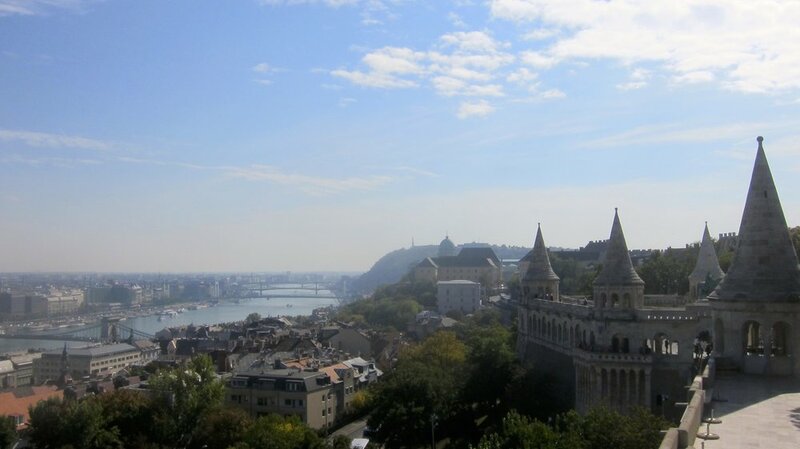 Oh, and a big thank you to Tais for recommending Budapest to us!